Dr. Ethan Burris is a Professor of Management and the Chevron Centennial Fellow at the McCombs School of Business at the University of Texas at Austin. He is also Director of the Center for Leadership and Ethics. He earned his Ph.D. in Management from Cornell University and has served as a Visiting Scholar at Google and Microsoft. He teaches and consults on topics relating to leadership, people analytics, talent insights, managing power and politics, building engagement in groups and teams, social enterprise, and negotiations. The recipient of numerous research and teaching awards, Dr. Burris most recently received the Jim Nolen Award for Excellence in Graduate Teaching in 2018 and the McCombs School Award for Research Excellence in 2017 and 2015, and the Fawn and Vijay Mahajan Teaching Excellence Award for Executive Education in 2015. 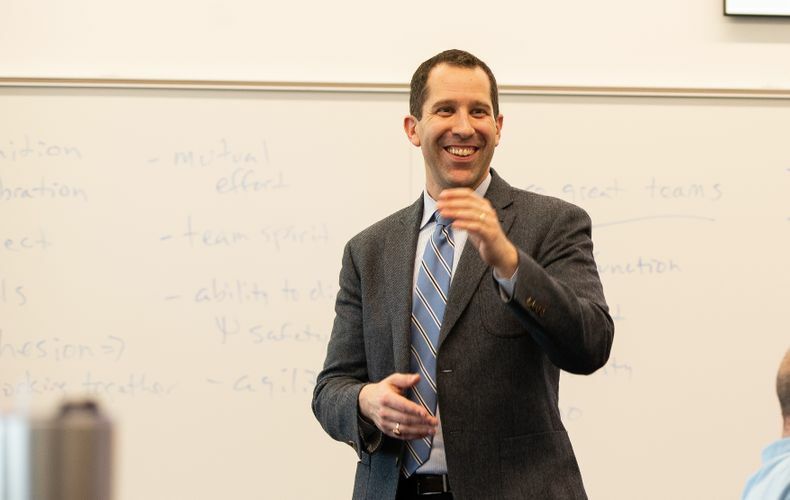 Dr. Burris’ current research focuses on understanding “employee voice” – getting employees to candidly speak up about problems and opportunities for improvement. In particular, he has investigated how leaders shape employees decisions whether to speak up or stay silent, and how these voice behaviors influence the performance of the employees who offer their input and the leaders and organizations who receive it. His research has appeared in several top management and psychology journals, and has been covered in major media outlets such as the Harvard Business Review, New York Times, Washington Post, Wall Street Journal, Bloomberg, and the Houston Chronicle. Dr. Burris has collected data from and served as a consultant for a variety of professional firms, ranging from several Fortune 100 technology companies, Fortune 100 financial services and insurance companies, Fortune 500 companies in the casual dining and grocery industries, hospitals, a defense contracting company, a commercial real estate firm, governmental agencies, and many retail organizations.